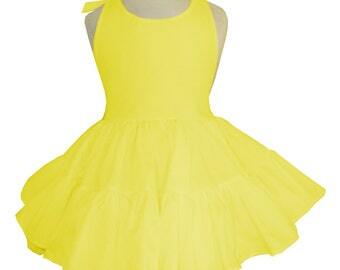 This pretty sundress has a fitted halter top attached to a very full hand ruffled two tier ultimate twirly skirt. 100% cotton dress has ribbon ties at neck and elastic at back waist. Skirt is made extra full for little girl's twirling fun. Also available in many other colors! Message me and let me know what you are looking for! For a special touch this item can be monogrammed. Just let me know Initials at checkout. First Initial/Last Initial/Middle Initial, please include full name, to avoid errors. Or you can choose to have a Single initial in Applique. This sweet dress can be custom made with different color/print ruffles, and halter top. Let me know what you would like! 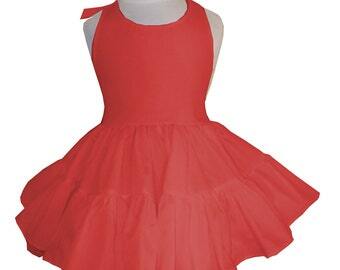 Solid Red Twirly Halter Dress Sundress with full ruffled skirt Infant Baby Toddler Girl Square Dance Dress Many colors available! Solid Purple Twirly Halter Dress Sundress with full ruffled skirt Infant Baby Toddler Girl Square Dance Dress Many colors available! Gorgeous and wonderful to work with!! Another beautiful dress! Thank you! 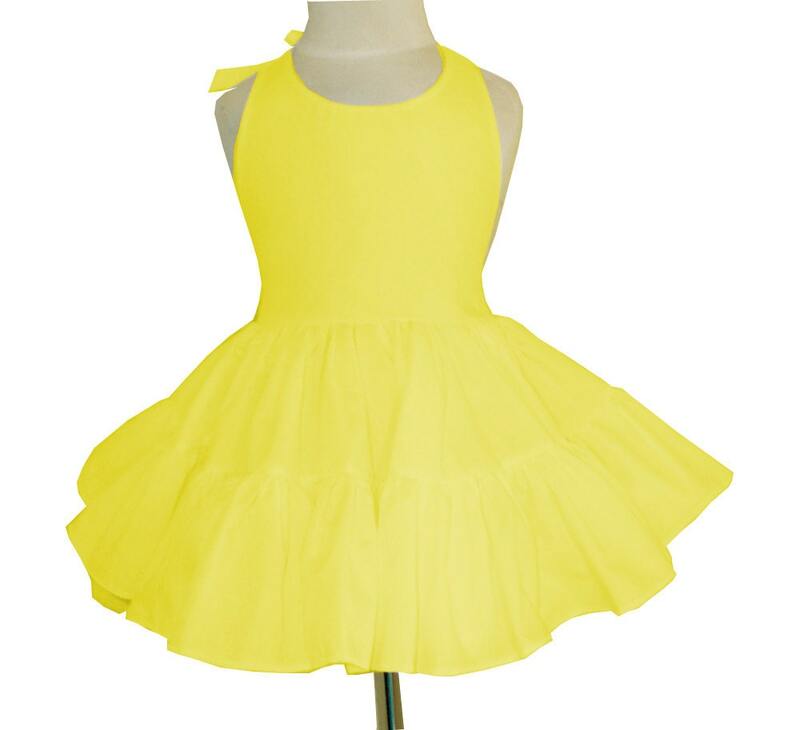 Solid Lime Green Twirly Halter Dress Sundress with full ruffled skirt Infant Baby Toddler Girl Square Dance Dress Many colors available! Solid Lilac Twirly Halter Dress Sundress with full ruffled skirt Infant Baby Toddler Girl Square Dance Dress Many colors available! Solid Turquoise Twirly Halter Dress Sundress with full ruffled skirt Infant Baby Toddler Girl Square Dance Dress Many colors available! Solid Peach Coral Twirly Halter Dress Sundress with full ruffled skirt Infant Baby Toddler Girl Square Dance Dress Many colors available!